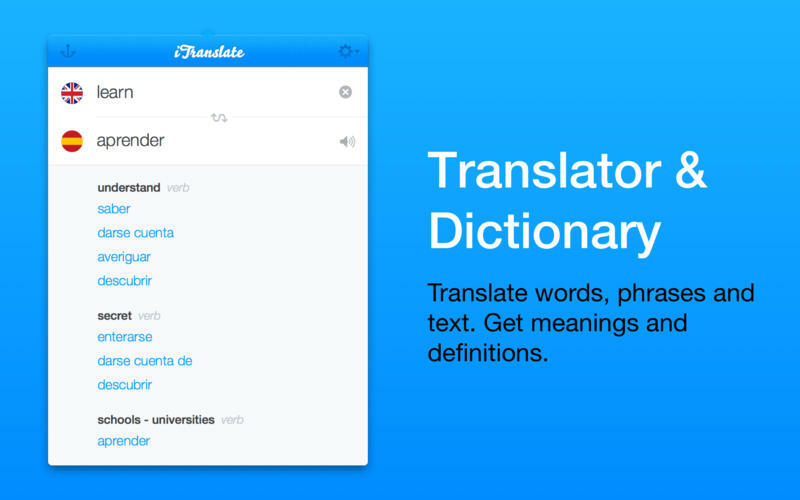 iTranslate, the most popular translator tool on the App Store, now also on your Mac. 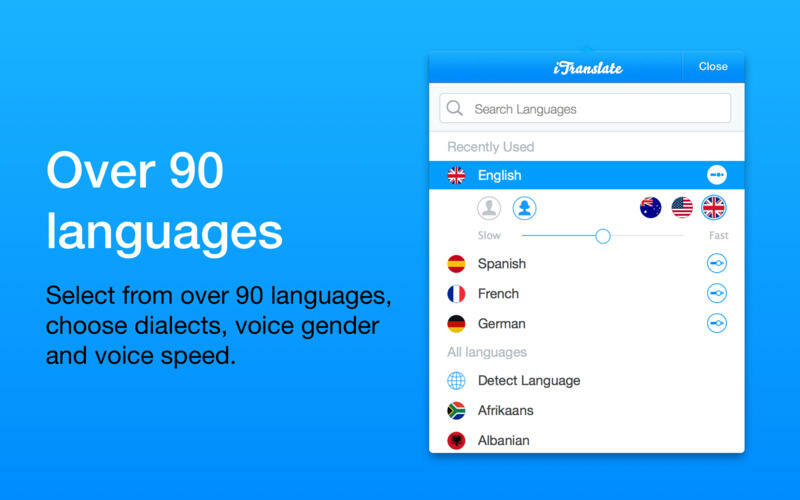 iTranslate for Mac puts 90+ languages at your fingertips. It is designed as a status bar app that is always just one click or keystroke away to help you solve any translation problem. 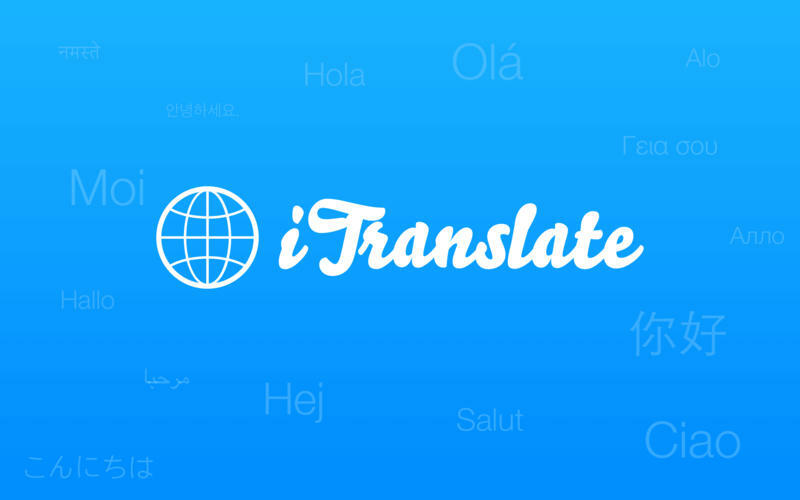 iTranslate is optimized for fast text input. 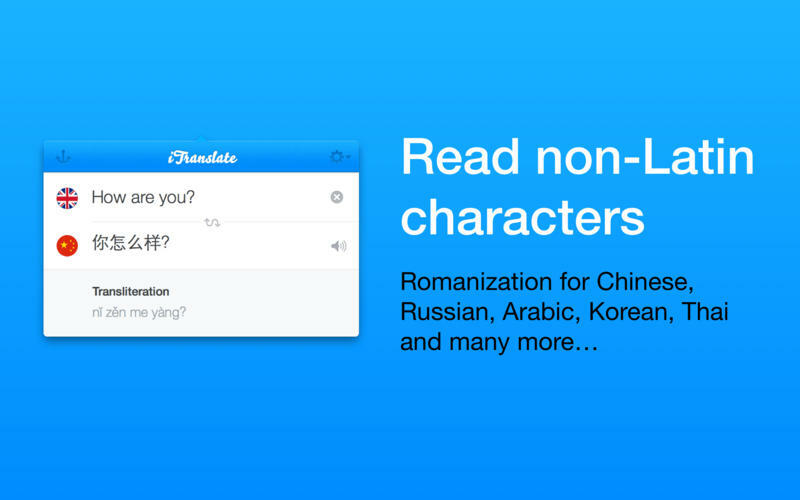 Open the App with a customizable keystroke, get suggestions while you’re typing and quickly switch between languages. If you like iTranslate, would you mind taking a moment to write a nice review on the App Store? We’d greatly appreciate it. Thanks for using iTranslate! Texas Holdem Poker - Free Casino Slots,Pocket Poker and More! WedPics Wedding App - Gather Photos and Videos from Guests. Share Registry, Events, Accommodations, and Wedding Information!